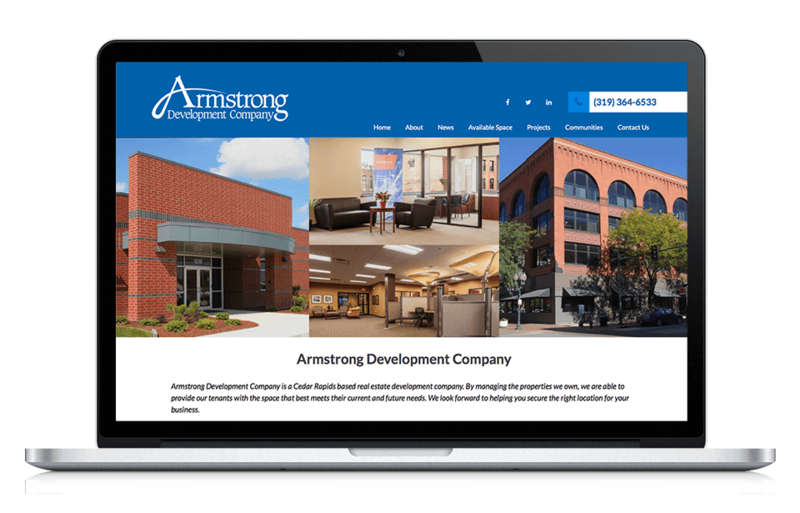 Commercial real estate company Armstrong Development Company, based in Cedar Rapids, Iowa, came to us for a redesign of their website. 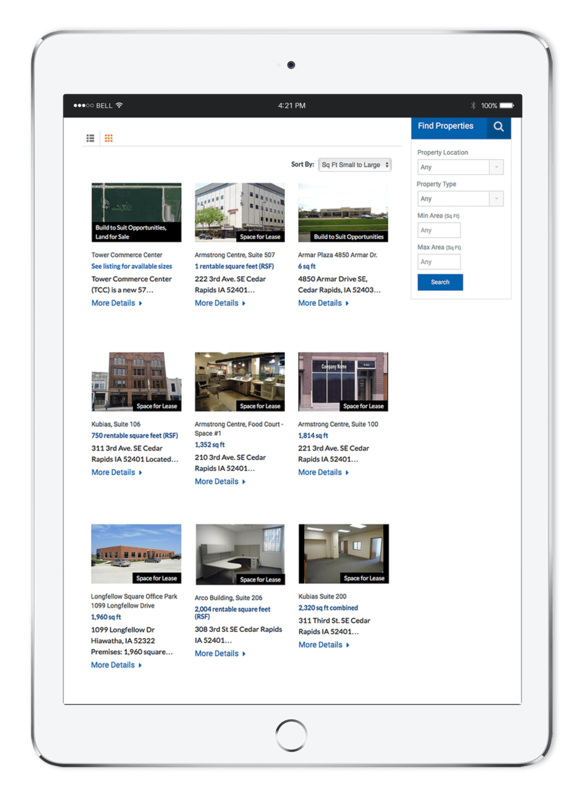 They needed to include property listings functionality for commercial units available for lease, build-to-suit, or purchase. These listings needed to be searchable and filterable based on available square footage, property type, and location. The Armstrong team also wanted to be able to share information and updates on their large, ongoing real estate development projects, as well as provide general information on the amenities offered by their locations in downtown Cedar Rapids, Marian, and Hiawatha, Iowa. Most importantly, the website was to function as a lead generator—prospective tenants or buyers needed to be able to quickly contact Armstrong for information on property that piqued their interest. 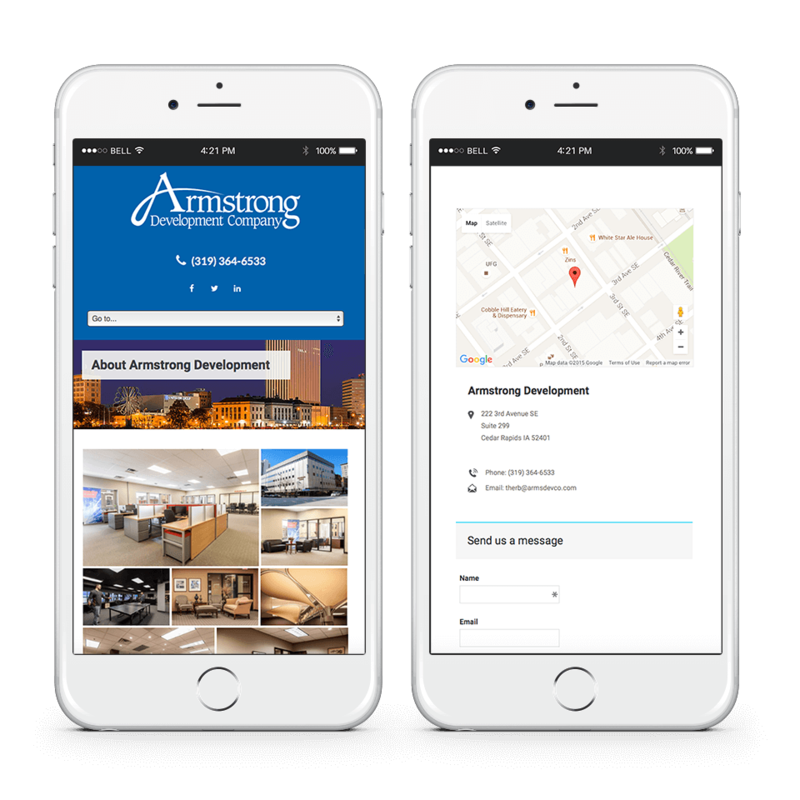 Armstrong Development Company’s new mobile-friendly website allows prospective tenants or buyers to easily search and filter available properties by location, property type, and square footage from anywhere. From any listings page they can view the property details, download documents related to the property, and quickly contact the Armstrong office through a simple form and a single click. The staff at Armstrong Development is able to keep their available listings up to date through the easy-to-use online interface without having to rely on a third party to manage their listings.